Good news! 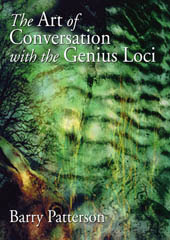 The revised second edition of The Art of Conversation with the Genius Loci is now available from Capall Bann Publications price £13.95. I have corrected some errors & edited some of the chapters, appendices & contact information. I have also added a new foreword entitled Ten Years On. Thanks to Jon & Julia for supporting my work! See the page link above for more information. NB Capall Bann say that overseas customers can also order the book from their web page. Remember that as of today, 7th March, the new edition is hot from the printers - you'll get the old, first edition, even a second hand one elsewhere.